October is celebrated as the Great Lakes Great Apple Crunch month, an opportunity to promote both local foods and healthy snacks. The Apple Crunch encourages schools, clubs, or employers to choose a day in October and serve fresh local apples. In southern Ohio many of our schools have already, or will be, participating in the Apple Crunch by serving apples from our local orchards. With over 7,500 varieties of apples it may be hard to decide which apple to select. Each variety has different qualities, think about how you plan to use the apples to help you in the selection process. Apples can be sweet, tart, soft and smooth or crisp and crunchy. Some varieties are perfect for baking, others work better in salads, and some are best for eating fresh – like those we will select for the “Great Apple Crunch”. For example, Jonathans are tart and great for baking. Galas (my personal favorite) are sweet and good for eating or salads. Granny Smith apples are tart and great for baking. The Ohio Apple website has a great guide to provide information about varieties, their taste, and what they are best used for. Go to http://ohioapples.com to find out more. 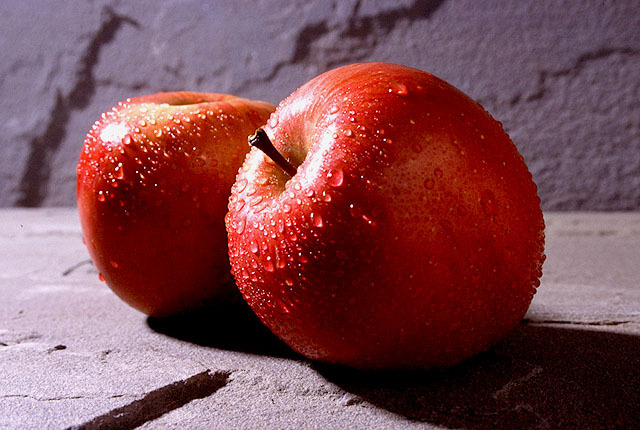 Apples fortunately have a great shelf life and can be used in numerous ways when cooking – think salads, cake, muffins or bread, in pancakes, sandwiches, oatmeal, or hot in chili, stuffing, or with sweet potatoes or squash. Apples are a very versatile fruit. The USDA What’s Cooking Mixing Bowl has over 140 recipes that are economical and most are healthy, find them at http://go.osu.edu/applerecipes . If you have the chance, select locally grown apples to have optimum flavor, prevent loss of nutrients, support the local economy, promote a safe food supply, and know where your food was grown. If you would like to join the Great Lakes Great Apple Crunch purchase local apples, possibly from an orchard or your local Farmers Market, and eat them as a snack or with a meal. Apples are inexpensive to serve as part a program with youth at a school or in a club, or as a treat at your next staff conference. Consider bringing along an apple an apple slicer/corer – as some people find it difficult to eat the skin of an apple (especially young children who may not have their front teeth.) 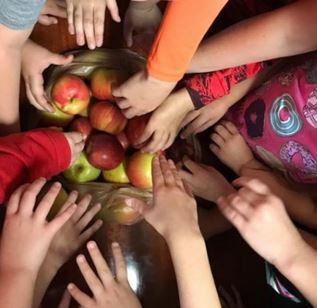 Post your own photos on social media showing your students, co-workers, or family members crunching apples in October and use the hashtag #GreatAppleCrunch or #OhioAppleCrunch. Feel free to email me your apple crunch pictures to Lisa at barlage.7@osu.edu. Writer: Lisa Barlage, Extension Educator, Family and Consumer Sciences, Ohio State University Extension, Ross County, barlage.7@osu.edu. October is Cranberry Month! Cranberries were one of those fruits that my family did not eat very often. Several years ago my step-dad was reading a mystery book and found a recipe for “Killer Cranberry Scones” – the main character in the book was known for these. When he found the recipe in the back of the book he asked me to make them for him. Everyone loved them, and ever since I have tried many recipes using cranberries. Now is the time of year when cranberries are in season. If you purchase some and do not have the time to use them, you can freeze them. This is a great way to have cranberries all year long. Urinary tract health – may reduce the risk of UTI’s, a painful condition that afflicts some 11 million American women each year. Heart health – try cranberries in salads, trail mixes, or smoothies. They are the perfect addition to a heart-healthy diet. 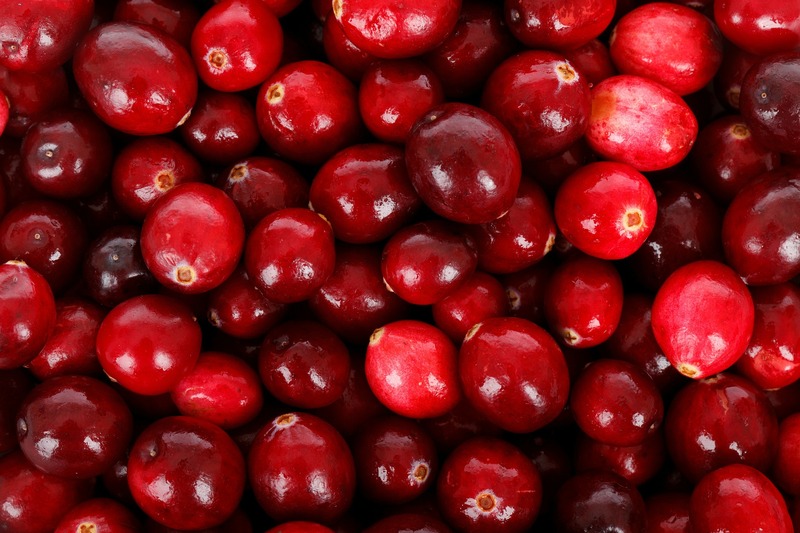 Ulcers – cranberries may prevent adhesion of the bacteria H. pylori to the lining of the stomach. Whole body benefits – cranberries provide a myriad of health benefits. All commonly enjoyed cranberry products contain beneficial antioxidants. According to the American Cancer Society, eating a diet rich in fruits and vegetables may reduce the risk for cancer and developing other chronic diseases. Looking for a new recipe to try? Check out these recipes from USDA’s Recipe Finder, What’s Cooking? 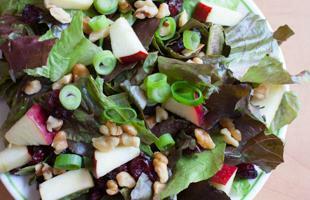 Perfect for fall is the Apple Cranberry Salad Toss. Doesn’t it look yummy? Cranberry Nut Bread makes a perfect option for breakfast, lunch or snack. Add fresh cranberries to your favorite muffins or bread recipe. Another source for easy-to-follow cranberry recipes, can be found at USCranberries.com. For more information on cranberries, visit The Cranberry Institute. Do you have a favorite cranberry recipe? If so, share it in our comments. Writer: Brenda Sandman-Stover, Extension Program Assistant, 4-H and Family and Consumer Sciences, Ohio State University Extension, Greene County. June is moving right along which means the summer growing season is upon us. June is also National Fresh Fruit and Vegetable Month. It is a great time to focus on eating more fresh fruits and vegetables. June is a good time to remind ourselves to make half of our plate fruits and vegeta bles since most Americans don’t eat enough of either. Locate a farmer’s market in your area and make it a point to visit to see what locally grown produce vendors have to offer. Fruits and vegetables are packed with the nutrients our bodies need for healthy growth and development. They provide many important vitamins and minerals as well as dietary fiber. Since most fruits and veggies have a high water content, they help keep us hydrated. Snack on some watermelon on a hot day to help cool you off and to hydrate you! By eating a healthy diet with lots of fruits and vegetables, you can help reduce the risk of heart disease, including heart attack and stroke and protect against certain types of cancers. Vegetables are divided into subgroups based on the different combinations of nutrients they provide. It is important to eat a variety of vegetables and to eat from all of the subgroups throughout the week. The table below breaks vegetables into subgroups to assist you with choosing a variety to eat. As I mentioned earlier, very few Americans eat enough fruits and vegetables as recommended by the Dietary Guidelines. Below are some suggestions to help you make half your plate fruits and vegetables. Serve salads or a vegetable as a side dish at dinner. Choose a fruit instead of dessert. Create or order mixed dishes like casseroles or stir-fry. Snack on fresh fruits or vegetables, like grapes, bananas, carrots, or cucumbers. East a piece of fruit with breakfast every day. Build your meals around fruits and vegetables when meal planning. Cool off this summer with a fruity homemade smoothie or popsicle. You can even get adventurous and add some veggies to your recipes. Did you know……fruits and vegetables consumed in almost all forms count towards your daily total? These can be canned, dried, frozen, or fresh. Canned and frozen foods are processed within hours of being harvested so their nutritional value and flavor are preserved. Tired of the “Same Old” Thing? 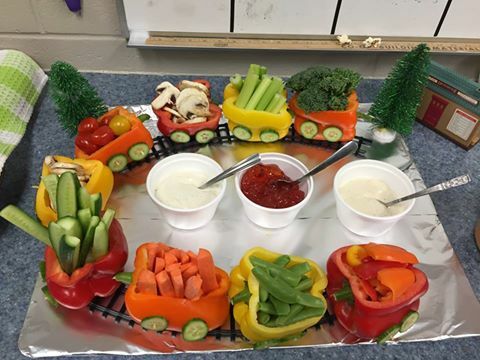 Get Creative with Veggies and Fruits! According to MyPlate.gov, snacks can help kids get nutrients needed to grow. This blog will show some ideas to help you make creative snacks with veggies & fruits. By making food fun, you may encourage your child to try something new. If possible, involve your child in food preparation or cooking. Kids like to try their creations! Concerned about the cost of fresh vegetables and fruits? Select vegetables & fruits when they are “in season” or on sale. Make sure to buy enough, but not too much where you end up throwing it away. Winter “In Season” vegetables & fruits include kiwi and citrus fruits like tangerines, clementines, oranges and grapefruit. Spring “In Season” vegetables & fruits include snow peas, broccoli, greens, asparagus, strawberries and spinach. Veggies & fruits that are readily available “year round” include bananas, celery, carrots, apples, potatoes & onions. Veggie Kid. Add light ranch dip for the face of the kid and make the body out of vegetables & fruits you may have on hand. Cheese and Crackers. Try the convenience of single serving string cheese and pair it with whole wheat crackers. To ramp up the veggies, add a few carrot sticks or apple wedges. Make a fun “character” fruit tray. Easy and fun! The eyes in this fruit tray are hardboiled eggs. Watch the children “gobble” up the fruit. Apple Smiles made with peanut butter and raisins. Fruit Kabobs. Use your favorite fruits for this fun snack! Crunchy Berry Parfait. Use your favorite fruits in this easy favorite. Cowboy Caviar. A favorite of adults and kids alike! Serve with whole grain chips, fill celery sticks or top a salad with this tasty salsa. Remember that some children don’t like foods that are mixed up. If this is the case, serve them individually. Make it easy to choose add-ins. Try hummus, creamy vegetable dip made with yogurt, or applesauce with a little “crunch” (granola or cereal) and cinnamon. Let them pick a new vegetable or fruit to try if you take them grocery shopping. What ideas do you have to add more veggies & fruits to your day? Post your ideas in the comment section. Two years ago my daughter decided to become a vegetarian. Before I agreed to this lifestyle choice, our family doctor gave her a physical. He also took the time to talk to her about nutrition and suggested we have blood tests done to make sure she would not need to start taking supplements. Once she was cleared from the doctor, I started having discussions with her about eating more than just sweets. She also started grocery shopping with me each week. She picks out items for her lunch and snacks that she might need after school. During her freshman year in high school she started playing sports. My daughter and I also had another conversation about how food can fuel her energy levels when playing sports. When making a lifestyle change such as becoming a vegetarian, take the time to talk to your health care provider first. Successfully moving to a vegetarian eating plan can be achieved if you take the time to educate not only yourself but your child also. Even though there are many resources on the web, make sure you take time to be sure they are credible resources. Visit this link for USDA resources. 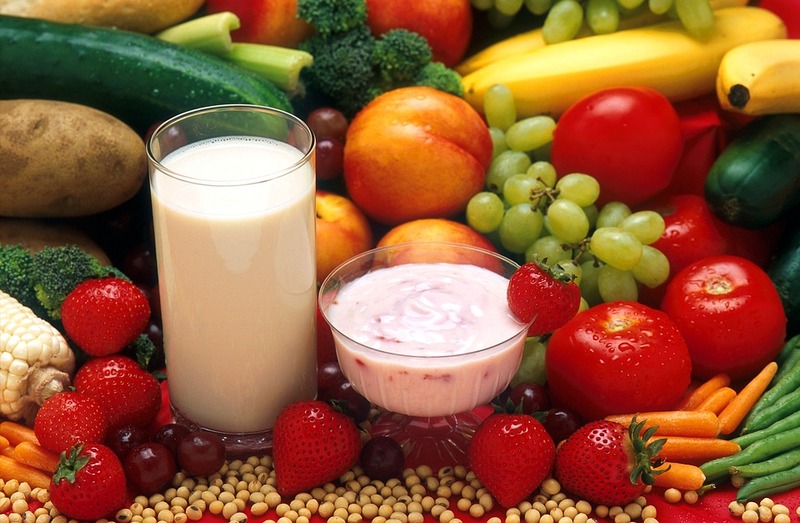 Do not let the thought of changing to a vegetarian diet overwhelm you. You just need to plan out your meals in advanced. My daughter and I have realized that a lot of meals that I make with meat can also be made with extra vegetables. There is a lot of talk about the importance of family meals. Your school age children may eat both breakfast and lunch in their school cafeteria. This is why it is important that the meals you eat with them are opportunities to teach healthy eating behaviors. Hopefully your children will carry these behaviors to the school lunchroom, and other settings. Listed below are meal-time tips you can use to encourage these healthy behaviors at home. * Children are sponges! They learn from watching parents and older siblings. Try to eat as a family whenever you can. Include a good variety of foods, including vegetables. This is also a great time for conversations and practicing table manners. * Enjoy a lunch date! Talk about school meals and what your children are eating. Try to understand why they make the choices they do. Have a breakfast or lunch date at school every few months. Not only will you see what is offered at the school meals, you will also see what your child is choosing. *Experiment with new foods! Encourage kids to try one bite so they can expand their horizons. * Don’t give up! Serve the foods your children previously resisted. It often takes several times of introducing a food before children eat and enjoy it. * Try to resist the “forbidden foods” label! All foods can be part of a healthy diet. * Encourage them in meal preparation! Let kids help fix items according to their age and skill level. Children are more willing to try foods, especially if they helped prepare them. Even young children can tear lettuce, rinse broccoli or even set the table. Let them pick out a new fruit or vegetable to try the next time they go to the store with you. * Be a creative cook! Cut foods into interesting shapes and make the plate attractive. * Name foods with cute names and offer finger foods, such as sliced fruit and vegetables. Kids like inviting foods just like adults do. Try raw vegetables with light dips. Serve broccoli trees or cauliflower clouds. * Give your time! Make the meal or snack your sole focus. Conversation is good. TVs or other electronics should wait until the snack or meal is complete. * Allow them time to eat! Try not to rush the children when they eat. Time pressure puts stress on eating and makes it less pleasurable. * A child’s world is play! Make eating a fun time. Include discussions about colors, textures and flavors. * Grow it yourself! If you have a garden or a few plants, include the children in planting and harvesting the produce. Children who participate in planting foods, or at least see where their foods come from are more likely to try them. Many schools now have gardens or container gardens. If your child’s school has a garden, talk to them about the foods they are growing. This is a great way for you to be involved with your child’s school! These are just a few simple ways we’ve found to get kids to explore the world of healthy food. If they work for you, please share them with all your friends! Source: Duyff, Roberta L. American Dietetic Association- Complete Food and Nutrition Guide, 4th Edition, 2012. The holidays are here with celebrations in full swing. While sugar plums and candy canes may symbolize this special time of year, the winter holidays wouldn’t be as festive without the fruits of the season. While summer brings a bounty of berries and an abundance of apples is harvested in the fall, nothing compares to a juicy ripe pear or a refreshing tart grapefruit. Not only do these natural beauties taste good but they pack a powerhouse of nutrients as well. A half of a grapefruit has only 52 calories, 2 grams of fiber and has 64% daily value of vitamin C. One cup of whole cranberries has 46 calories and 4.6 grams of fiber while a half-cup of pomegranate arils (seed/juice sacs) weighs in with 72 calories and 3.5 grams of fiber. 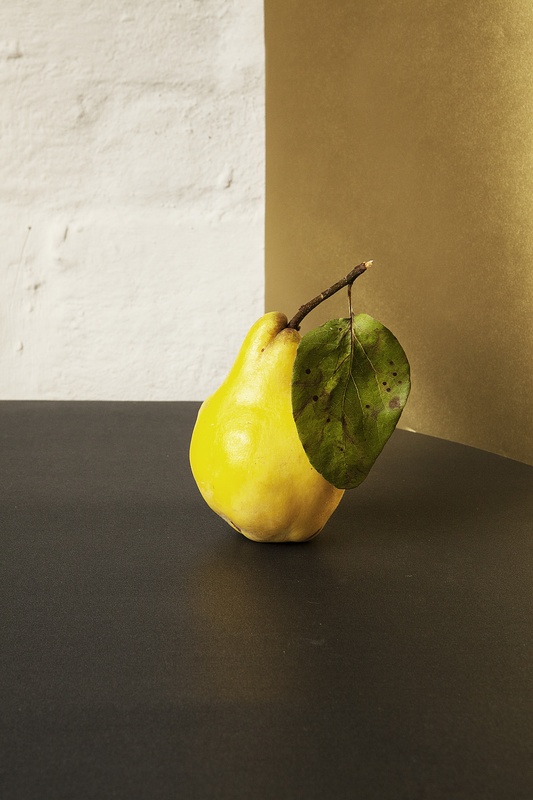 A medium-sized pear has only 102 calories but is an excellent source of fiber with 6 grams and is also a good source of vitamin C.
Winter jewel salad – combine colorful fruits such as blood orange sections, pear slices, and seeded kumquats in a clear glass bowl and sprinkle with sliced pomegranate arils. Cake topping – cook 2 parts fresh cranberries in a pan with 1 part water, a little sugar and a touch of cinnamon until mixture boils and cranberries pop and soften. Pour over sliced pound cake. Add a touch of elegance to brunch with pink grapefruit. Sprinkle light brown sugar on pink grapefruit halves and broil until they are a light golden color. Winter fruit compote – combine cubed pear, rhubarb and apples with cinnamon, grated orange peel and a little orange juice in a pan and simmer until softened. Serve hot or cold. Sprinkle pomegranate arils on a tossed greens or spinach salad to add color and crunch. Don’t forget dried fruits! They can be added to a cheese platter or be mixed with nuts for a healthy snack. Add some sparkle to your holiday beverages with cranberry or pomegranate juice. A simple basket or bowl of fruit is festive and adds color to any table. Since these fruits are in season, they will be more affordable at the grocery store. However, don’t hesitate to substitute canned fruit for fresh if necessary. Look for fruits that are packed in water or light syrup to reduce added sugar. Canned fruits can also be rinsed in cold water to dilute the packing liquid. Written by: Jenny Even, Extension Educator, Family and Consumer Sciences/EFNEP, Ohio State University Extension, Hamilton County. Reviewed by: Marilyn Rabe, Extension Educator, Family and Consumer Sciences, Ohio State University Extension, Franklin County. Source(s): Fruits and Veggies: More Matters; Entertaining and Healthy Cooking with Fruits and Veggies: Holidays 2015. American Institute for Cancer Research, Holiday Recipes from AICR. 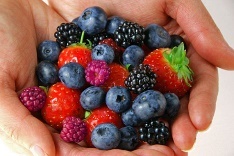 U.S. Food and Drug Administration, Nutrition Information for Raw Fruits.